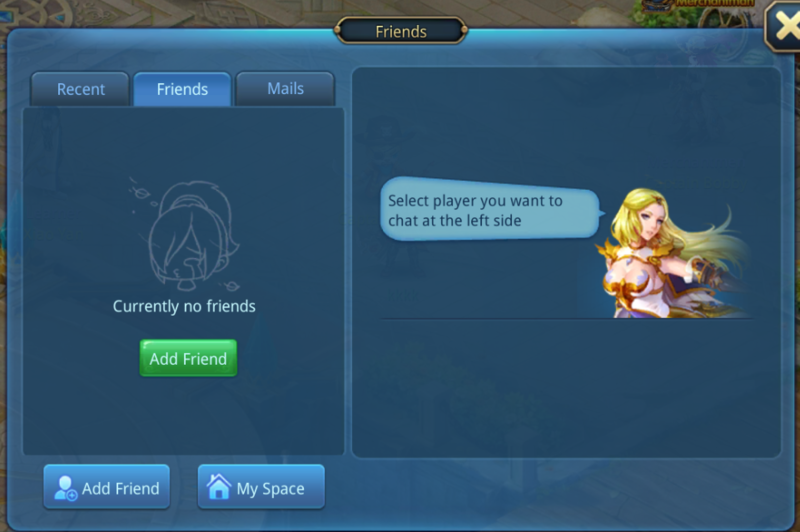 Friend button is at the left side of screen, above the mini chatting window. When there’s new message, a little red dot will appear on the button as notification! Open friends list, tap the [Add Friends] button which at the lower left corner to add new friends. Enter the name of the friends you want to add in the bar, and then tap “+” to send friends’ request. 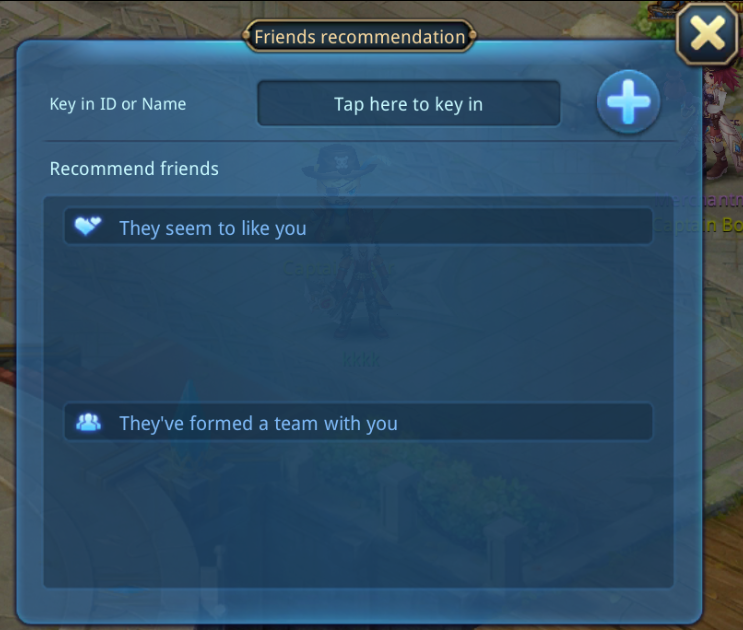 If you do not have friends to play together, you can also add those friends that system recommend to you!